The problem with railroad bridges is unless they are near a road (or you have a boat) they can be difficult to photograph. 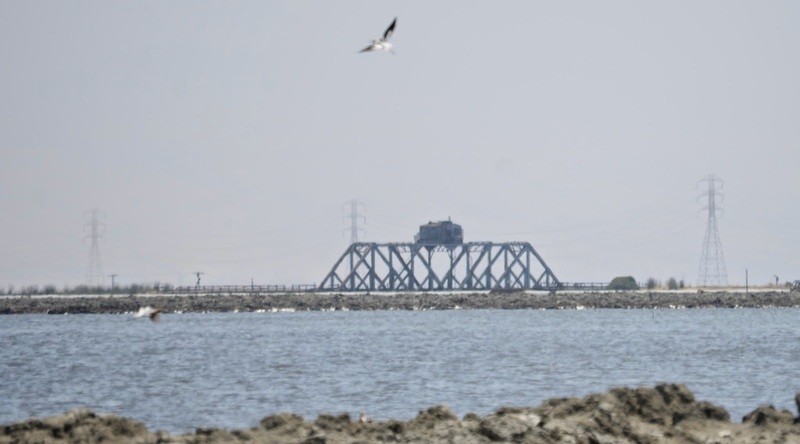 There are two Baltimore through truss swing railroad bridges at the south end of San Francisco Bay that were built in 1910 and abandoned in 1982. The one shown above crosses San Francisco Bay and the one below is in the Newark Slough Wildlife Center. I was unable to get very close and had to use a telephoto lens to photograph these bridges. Alameda County, California Bridges: Caltrain Swing Bridges in Newark by Mark Yashinsky is licensed under a Creative Commons Attribution-NonCommercial-NoDerivatives 4.0 International License.